If your family is new to Bramalea, Brampton, or one of our other nearby communities or you’re looking for a new dental office home, you already know that there are many great local dental offices to choose from. As you’re trying to find the right dental office for your family, we hope you’ll take some time to get to know the Torbram Dental team. Our caring dentists and knowledgeable team members are proud to offer a complete array of dentistry services for patients of all ages, so you can bring every member of the family to see us. Keep reading to learn more about patient-centered, personalized dentistry services. Please feel free to give us a call if you have questions or you’re ready to schedule an appointment with the dedicated dental team serving Bramalea and surrounding communities. 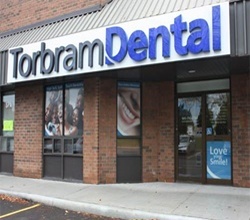 At Torbram Dental, we are committed to delivering completely personalized dental care. In our opinion, there’s no such thing as one-size-fits-all dentistry. Your smile is not like any other, and your treatment plan won’t be either. Instead, we take the time to answer your questions, discuss your treatment options, and create a dental care plan that meets your needs, fits your schedule, and won’t blow your budget. 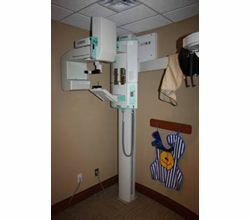 We use the latest in dental technology to make the treatments we provide faster, safer, and more comfortable. We are committed to making it easy for families to visit us, so we happily set aside blocks of appointments for the whole family. 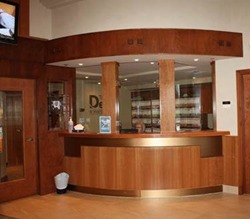 We also offer evening and weekend hours to fit your treatment into even the busiest schedule. To ensure we can provide complete dental care for every member of your family on days and times that fit your schedule, we have four skilled dentists working in our dental office. 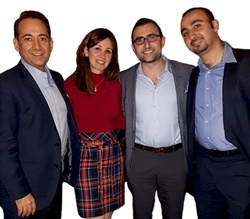 Dr. Vince Fava, Dr. Summer Al Maqdassy, Dr. Joseph Hasso, and Dr. Zaid Babahami are all highly trained and experienced dentistry professionals, but even more importantly, each of our dentists is passionate about patient care. Surrounded by a team of dentistry professionals who are always willing to go the extra mile, to keep our patients smiling.